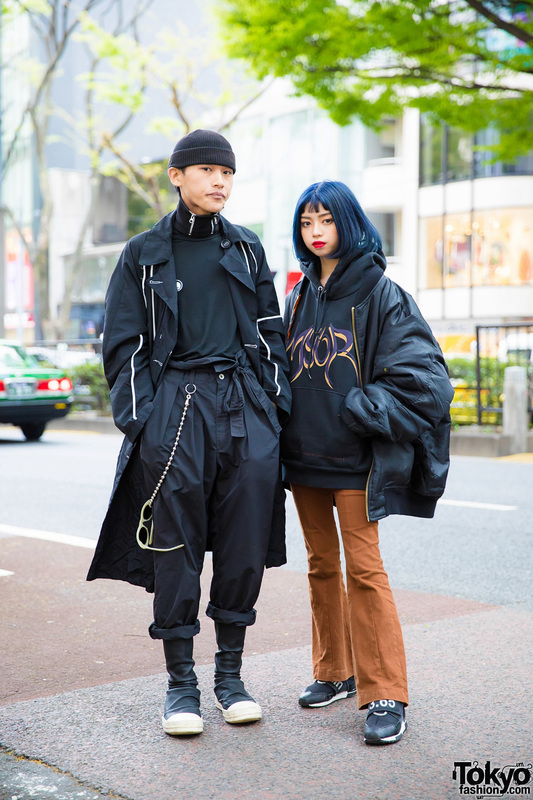 Harajuku duo showcasing black streetwear ensembles while out for a walk on the street. Japanese hair stylist clad in monochromatic winter street fashion while out and about in Harajuku. 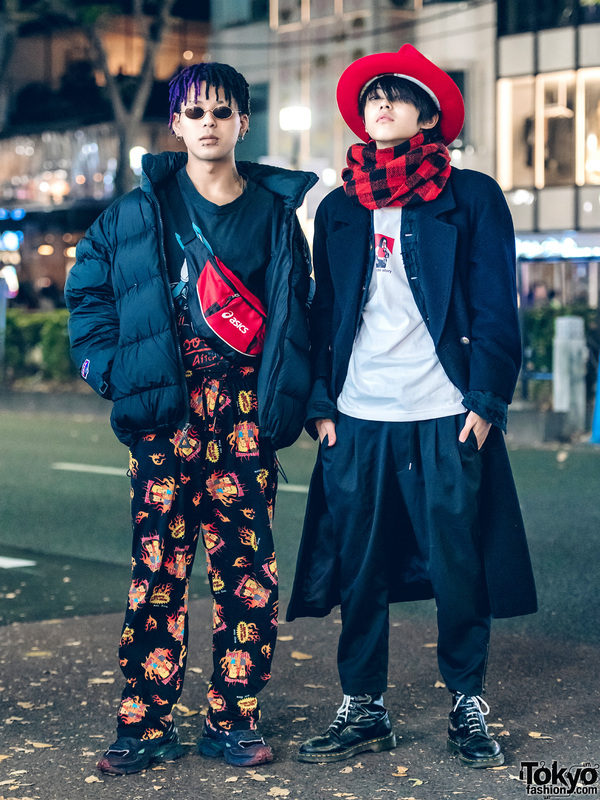 Harajuku guys showcasing printed vintage street fashion.